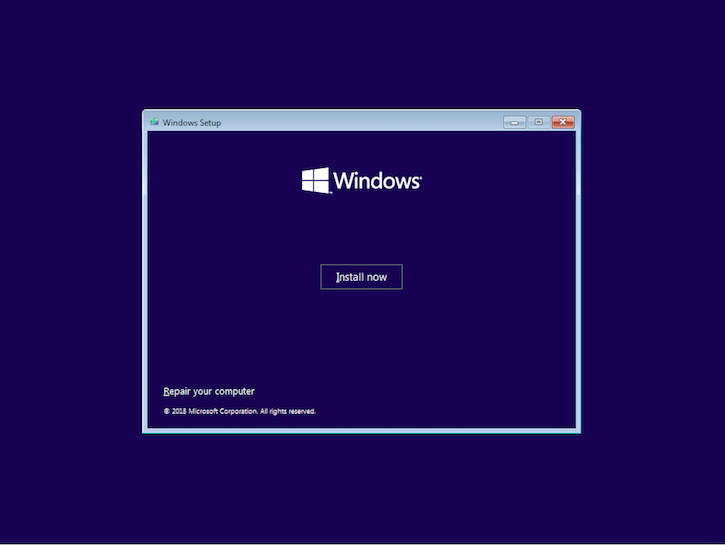 Windows 10 is Microsoft’s newest client operating system. 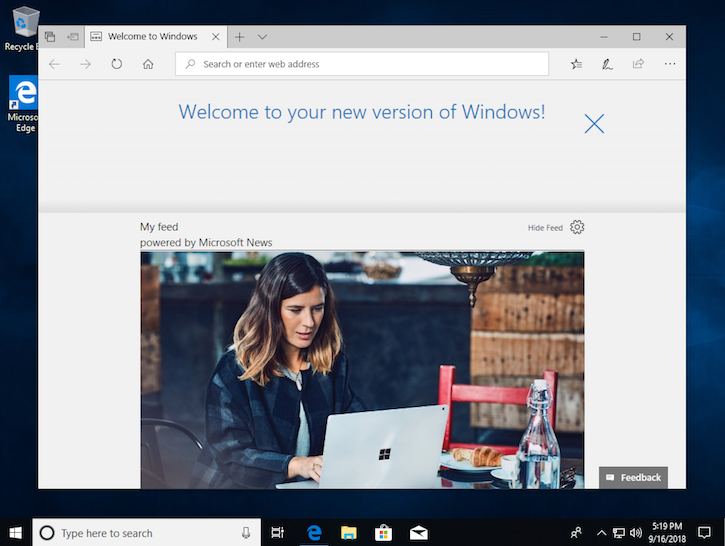 In this article I will show you how to make a clean Windows 10 installation on your computer. 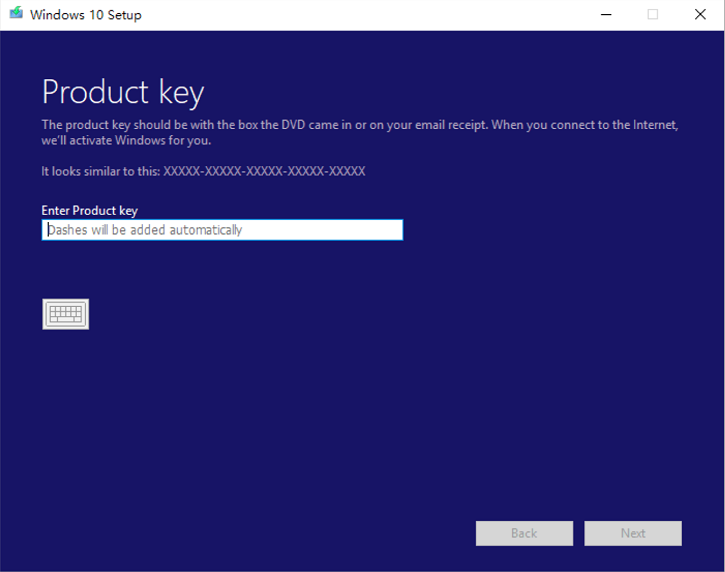 Boot your computer or virtual machine using the installation DVD, USB flash drive, or the ISO file, with the Windows 10 installation. As soon as you boot, you see a quick message on the screen stating that you need to press any key to continue. 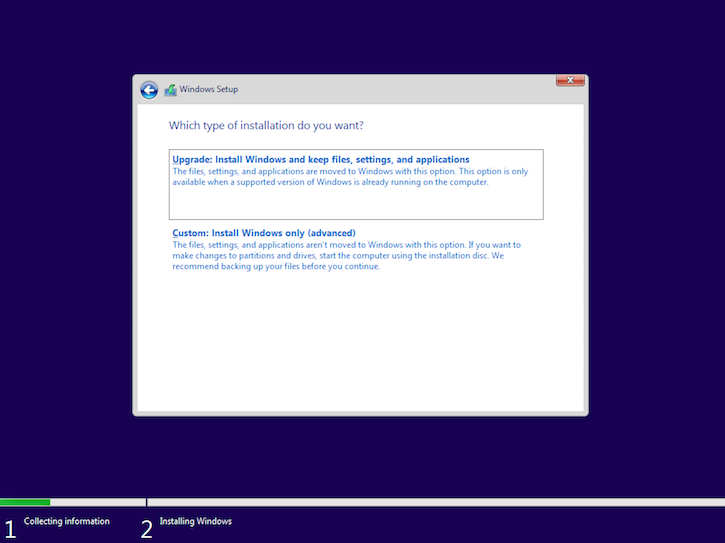 Press a key on your keyboard, and the installation wizard is shown. 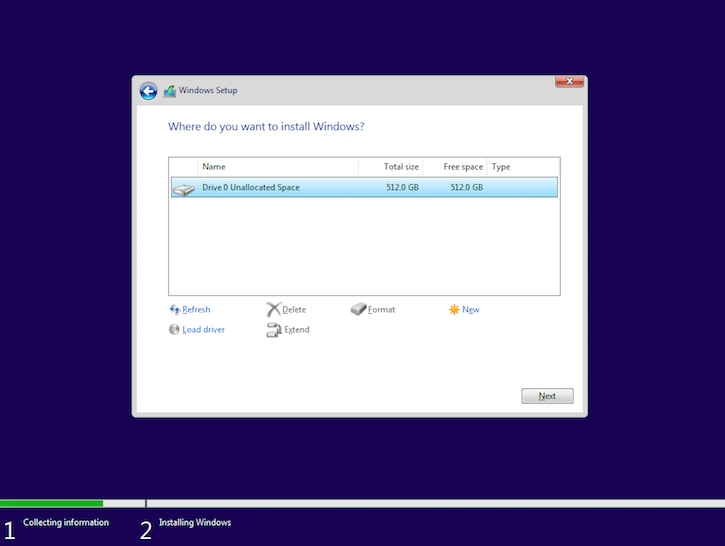 Installing Windows will start. 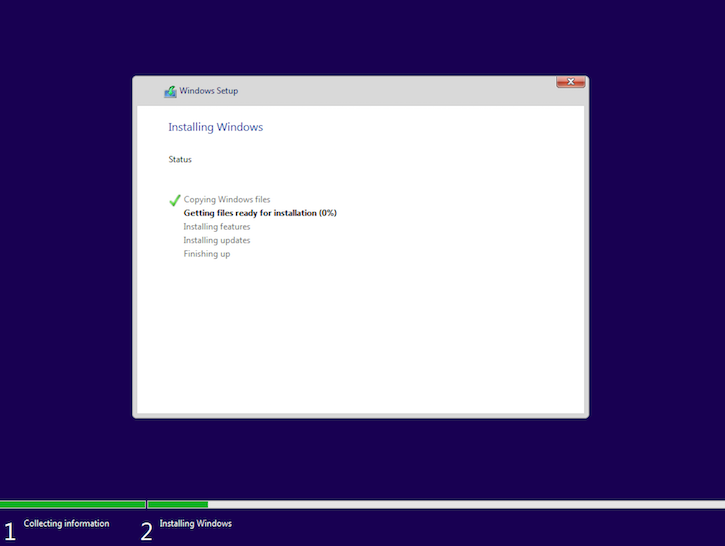 The setup takes some minutes to copy all the required files and then installs the Windows 10 operating system. It also installs updates, if it detects that it can connect to the internet. 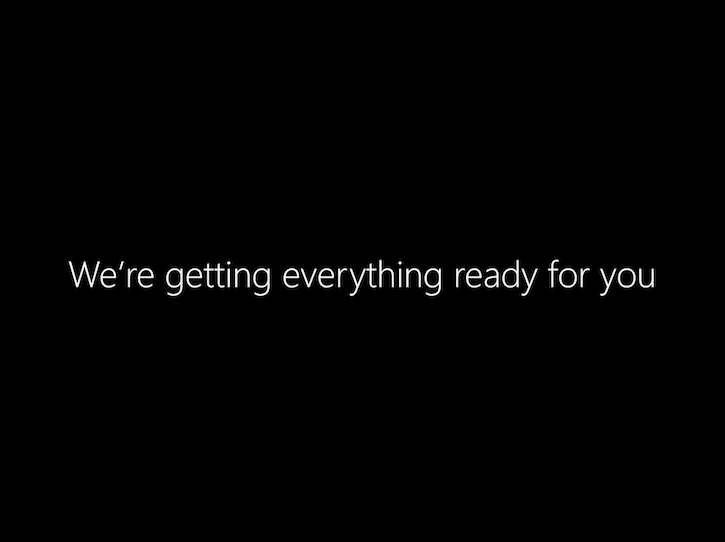 After the reboots are finished, you are greeted by Cortana. She helps you configure your Windows 10 installation. Listen to what she has to say before moving forward. 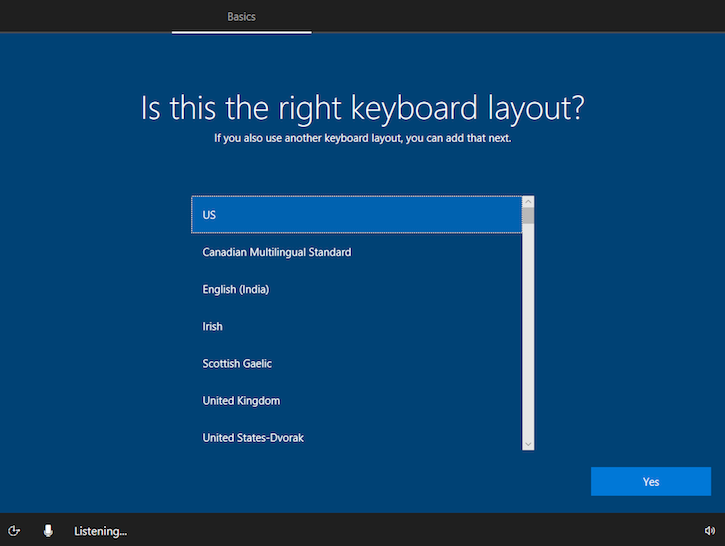 When you interact with Cortana, you can use the mouse and keyboard, the touchscreen (if you have one), or your voice, if you have a microphone connected to your computer. 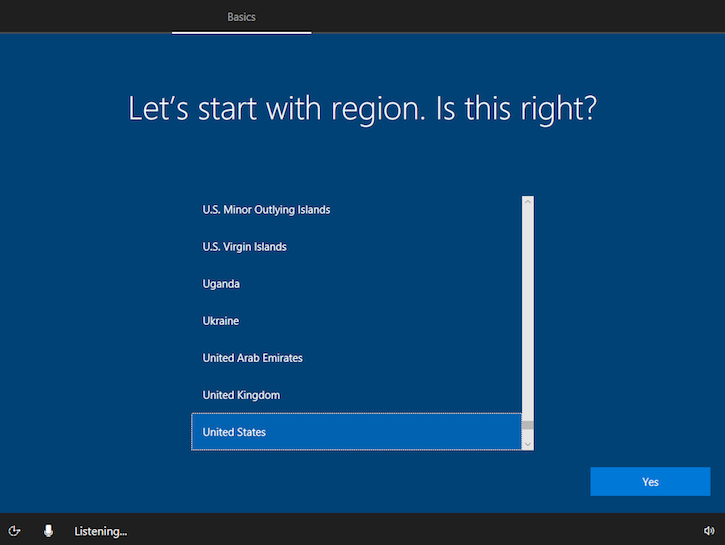 Cortana asks you to choose the region where you live. Select it from the list, and then click Yes. 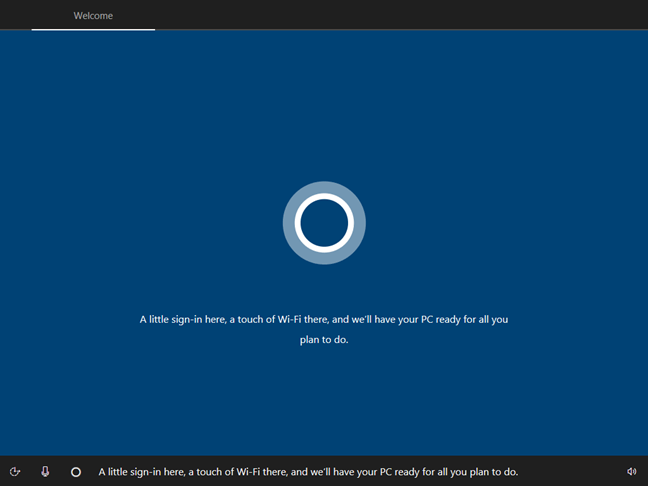 Alternatively, if you prefer, speak to Cortana and say what your region is, or confirm if she got it right. 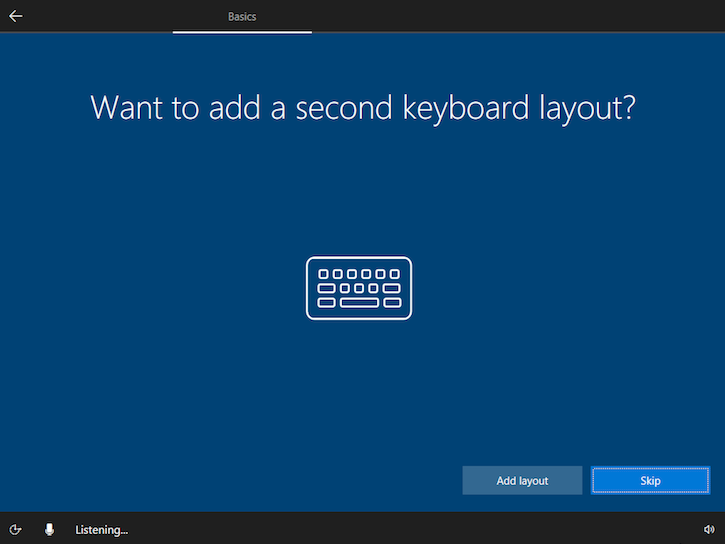 If you need to use a secondary keyboard layout, you can add a second one during the next step. 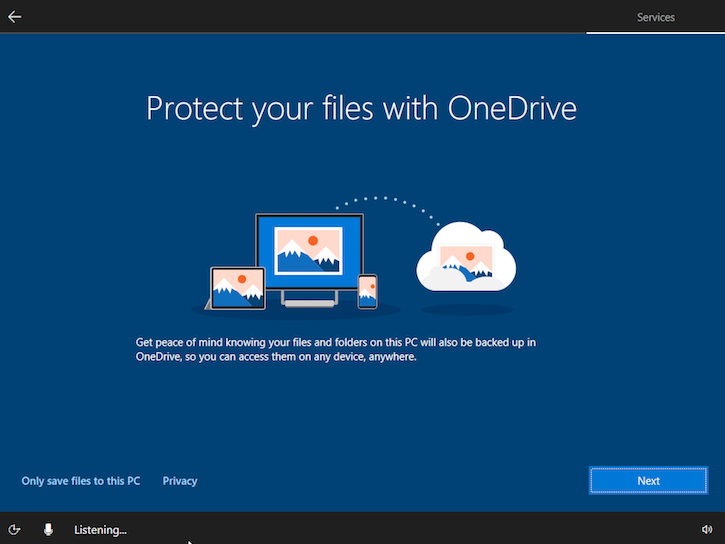 Otherwise, choose Skip or say No to Cortana. 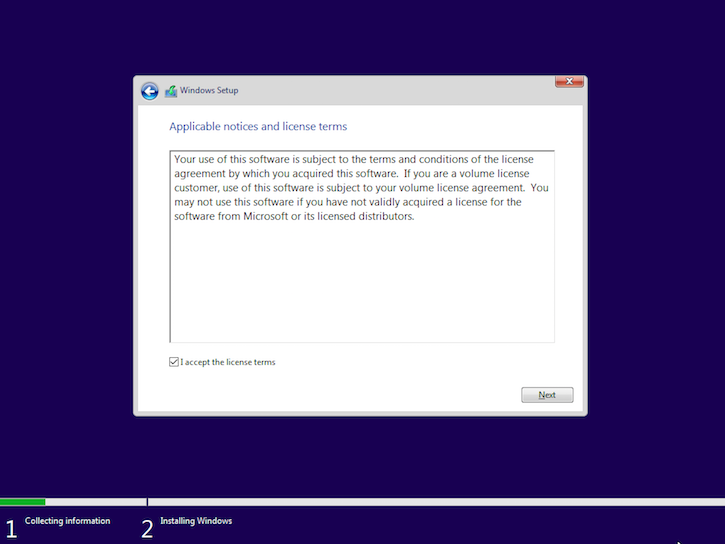 You are asked to confirm the ownership of your Windows 10 device. If you are its owner, select Set up for personal use . If the device belongs to an organization (for example, the company you work at), select Set up for an organization, and you can use your business account to sign in and access your resources. 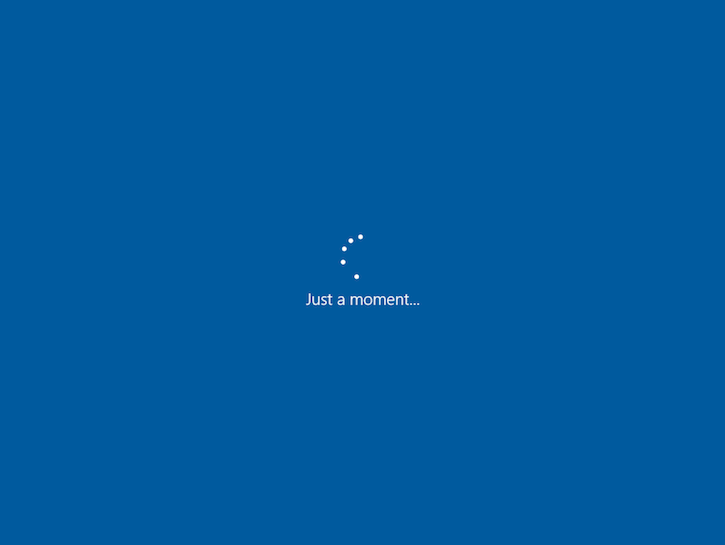 Then, press Next. 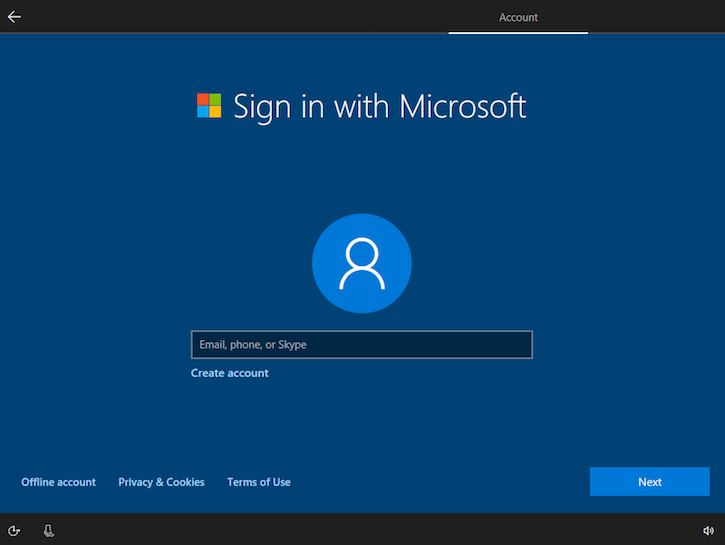 You are asked to sign in with your Microsoft account. Enter your credentials and click Sign in. 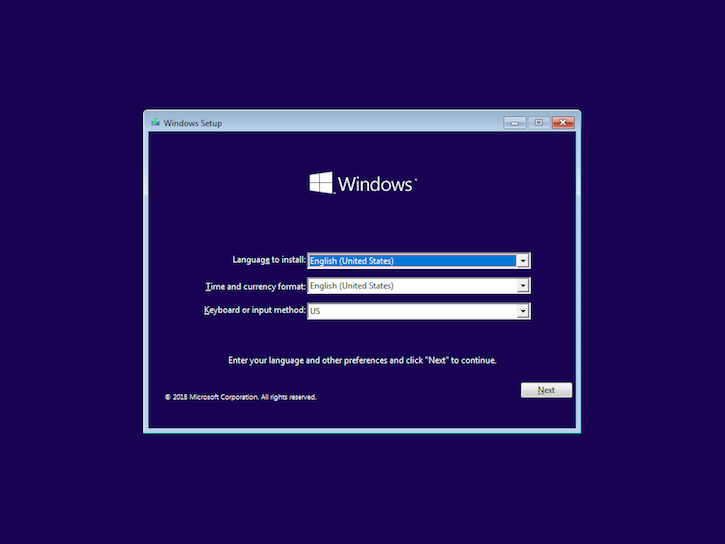 If at the previous step, you selected to set the PC for an organization, you are asked how you want to connect Windows to your organization. Either way, enter your sign-in details. Enter your account and click Next. 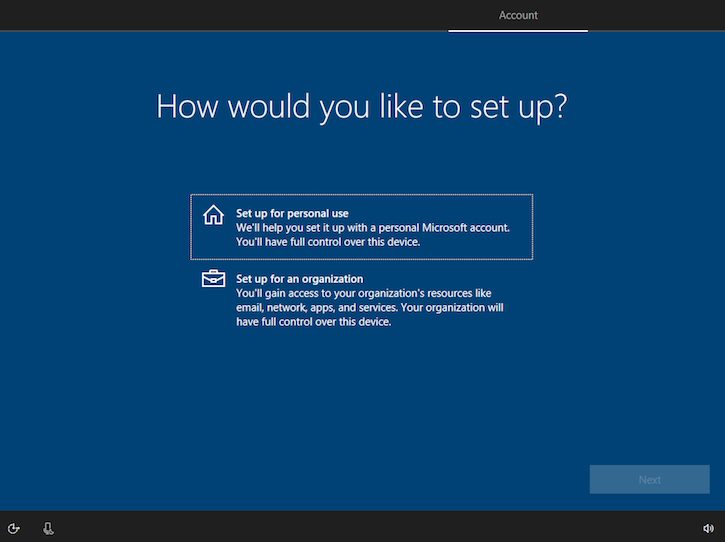 If you don't have one, you can let setup help you create an account by clicking Create account. 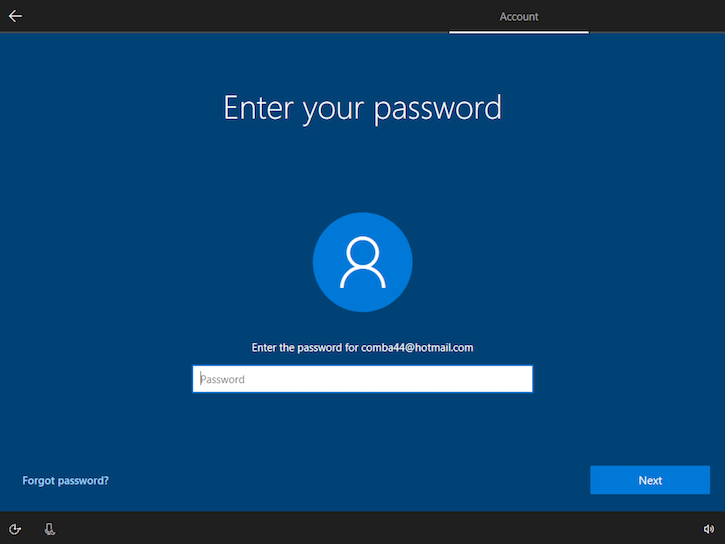 If you do not want to use a Microsoft account, you can also choose to create and use an offline account on your PC, also known as a local user account. To do that, click or tap on the Offline account link at the bottom left of the sign-in screen. 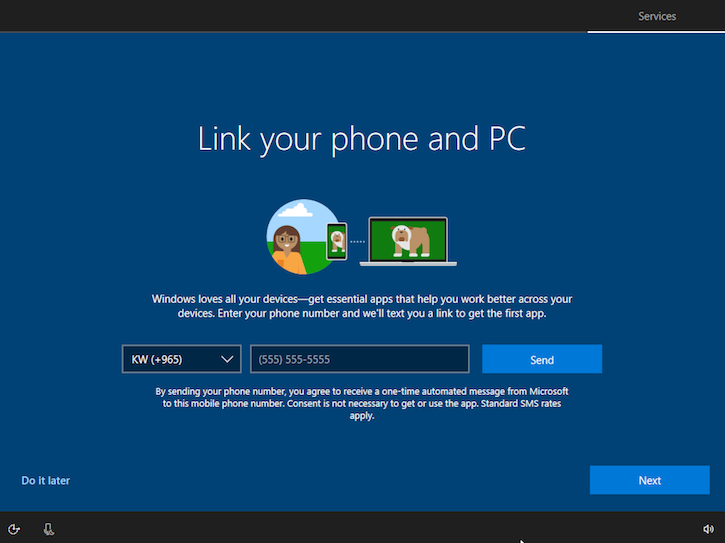 If you chose to create an offline account, Microsoft tries to convince you that a Microsoft account is better. If you still want the offline account, press Maybe later at the next step. 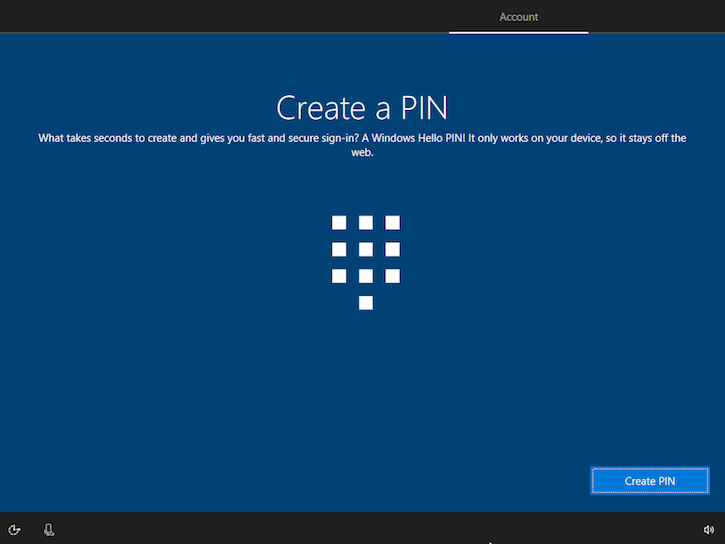 At this step, the Windows 10 setup asks whether you want to create a PIN for faster access to your system. 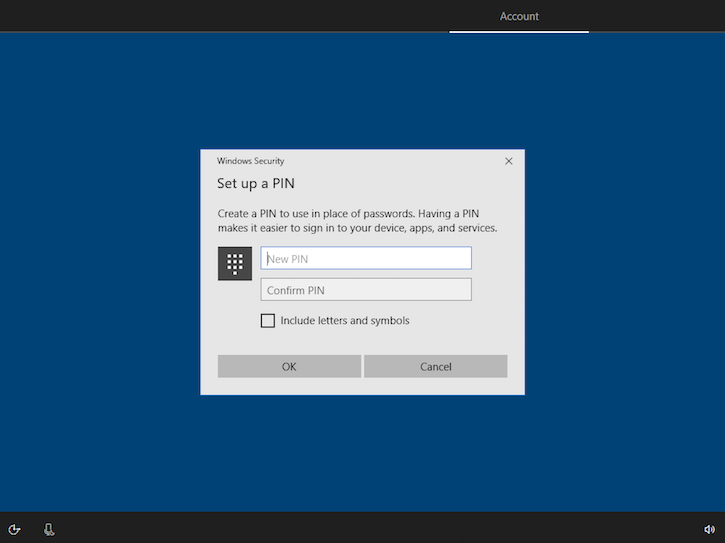 Press Create PIN and enter a PIN code for quick access, then repeat it. Click or tap OK to continue. 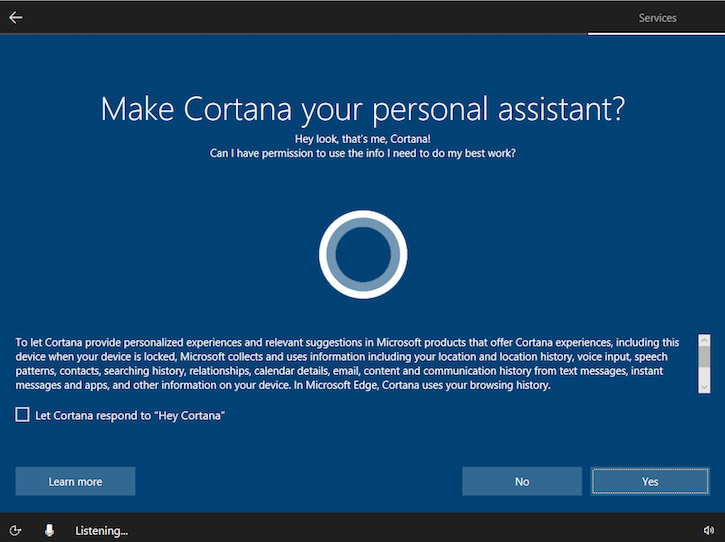 Now you get to choose whether you want Cortana to be your personal assistant. You can also set whether you want to let Cortana respond to “Hey Cortana” by checking or unchecking this option. The final configuration step is all about your privacy settings. 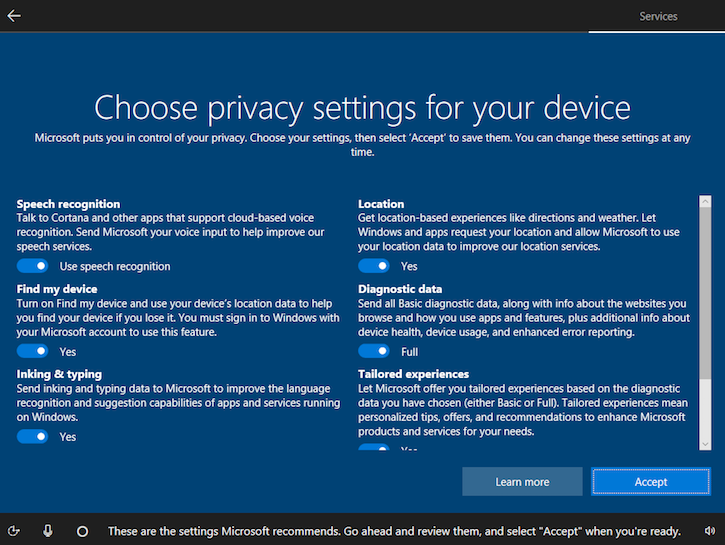 On the “Choose privacy settings for your device” screen, select whether you want to enable or disable features like Location, Diagnostic data, Find my device, Speech recognition, Inking & typing, and Tailored experiences.